Did you know that our specialists can provide you with your initial consultation as well as offering a second opinion. At Aura Dental Specialists, our focus is on orthodontics treatments and pediatric dental care. We also provide a variety of sedation options for our patients to insure that every visit is as comfortable as possible. All new pediatric and orthodontic patients are welcome at Aura Dental Specialists. You do not need a referral to become a patient. Please contact us today for more information or to book your first appointment. When referring a patient, please remember to send us their information in a secure manner. Are you a dentist or dental clinic with a patient referral? Aura Dental Specialists accepts referrals from dentists for orthodontics & pediatrics. Please review our available services and feel free to contact our clinic for more information. Welcome to Aura Dental Specialists, orthodontic and pediatric dental specialists in Abbotsford. Aura Dental is excited to welcome new patients and referrals from dentists across the lower mainland. Aura Dental Specialists is a unique, specialized dental practice in Abbotsford with a focus on a wide range of orthodontic services and pediatric services.Our clinic also offers several dental sedation options for young patients who would prefer or are unable to sit still during treatment. We are conveniently located in the beautiful Highstreet Shopping centre. 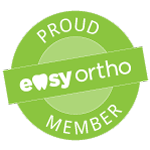 The practice combines the experience and expertise of two different specialists, an Orthodontist and a Pediatric Dentist. Dr. Vishal Sharma brings years of experience and specialized dental care to Aura Dental Specialists, allowing patients more care options under one roof. All new pediatric and orthodontic patients are welcome at Aura Dental Specialists. You do not need a referral to become a patient. 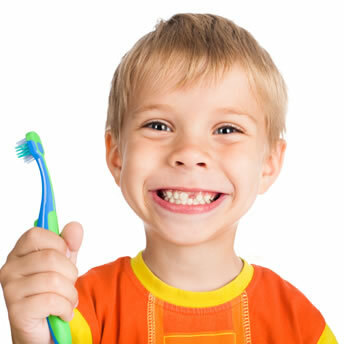 Pediatric Dentistry is specialized dental care for children. At Aura Dental Specialists we are dedicated to providing modern, comfortable dental care for children to encourage a positive dental attitude early on. Orthodontics can transform your smile, regardless of your age. At Aura Dental Specialists we provide a variety of the latest orthodontic treatments, including Invisalign, traditional wire braces and much more. Sedation Dentistry is a safe and comfortable solution for patients in a variety of situations. From surgery to multiple procedures or treating dental anxiety that some patients experience, Aura Dental Specialists is here to help. Did you know Aura Dental Specialist is a member of the 123 Dentist Network? As part of the 123 Dentist member community, transferring patient files digitally is easier than ever and lightning fast.